Peru's former President Alberto Fujimori was rushed from prison to a local hospital by ambulance late on Saturday (December 23) after suffering a severe drop in blood pressure and abnormal heart rhythm that put him at risk of dying, Fujimori's doctor said. Cardiologists recommended that he be removed from prison immediately, Alejandro Aguinaga said. "It looks complicated," he told journalists gathered outside the hospital. 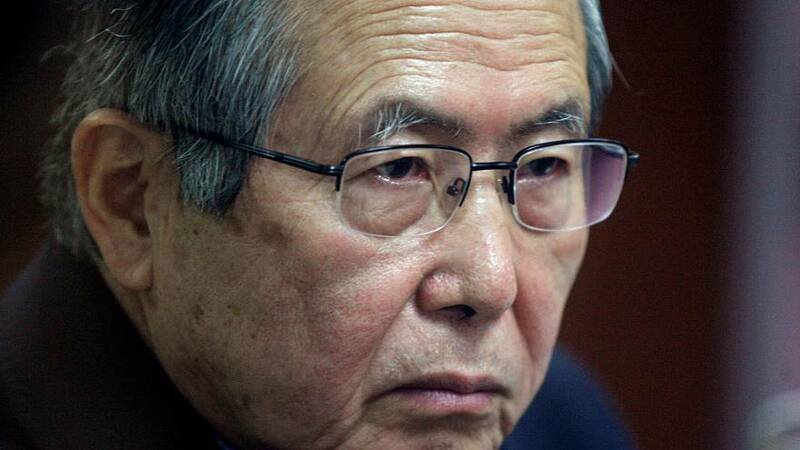 Fujimori, 79, is serving a 25-year sentence for graft and human rights crimes. He is a deeply divisive figure in Peru. While many consider him a corrupt dictator, others credit him with ending an economic crisis and bloody leftist insurgency during his 1990-2000 term. The medical emergency will likely heap pressure on centre-right President Pedro Pablo Kuczynski to free the former leader, a move that could rewrite political alliances and spark protests in one of Latin America's most stable economies. Three days earlier, a faction of Fujimori's supporters in Congress unexpectedly saved Kuczynski from a motion that would have forced him from office less than two years into his five-year-term. The opposition said Kuczynski only survived the vote by promising 10 lawmakers that he would free Fujimori if they backed him. Kuczynski's government denies the allegations. Fujimori fled Peru for his parent's native Japan as his government imploded in a graft scandal at the turn of the century. He was eventually extradited to Peru and was convicted for leading death squads that massacred civilians. Despite Fujimori's downfall, the rightwing populist movement Fujimori started in the 1990s remains one of the country's most potent political forces.